You may have seen this title and thought, wait, didn’t we already meet Sweet Heat Chefs already? You met half of the team of Sweet Heat Chefs in June when I interviewed Monica and if you remember, I was totally starstruck by her and her daughter. They have appeared on the Rachel Ray show and this week I am thrilled to introduce you to her daughter, Jasmine, a 12 year old with some serious cooking chops. I think at age 12, I was microwaving cheese and ham together and calling it cooking. 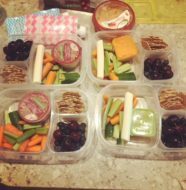 Moms, are you looking for ways to get your kids to eat veggies? 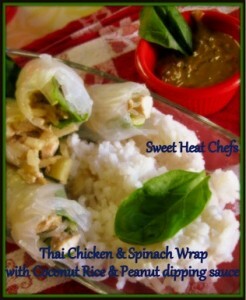 Jasmine is going to share a great recipe for spinach chicken Thai wraps and I know I can’t wait to try these. 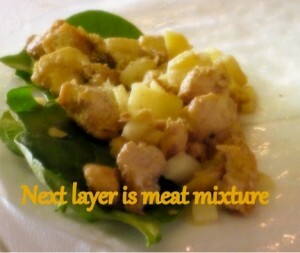 Peanut sauce, spinach, and rice wrappers, two of my favorite foods and you get to play with your food. Can you beat that? 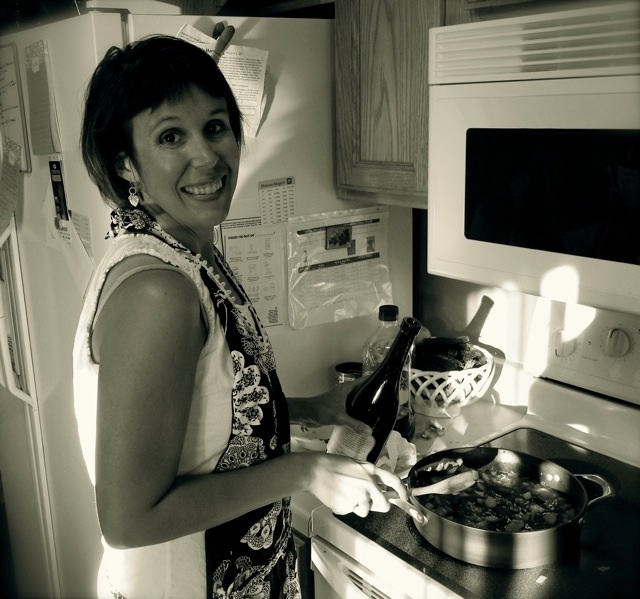 I want to thank Kimberly for allowing me to share my love of cooking with her foodie friends. I want to thank my mom, Monica Mooney, for encouraging me to begin cooking and sticking with it when I wanted to quit. 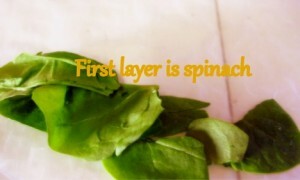 My name is Jasmine and my love of food and cooking began when I was around 2. My mom had me up on the counter mixing cookie dough and adding ingredients to the bowl as she went. As I got older, chopping and slicing came into my repertoire, and a few nicks here and there I eventually learned my lesson on how to do it correctly. I would like to talk about some yummy Thai wraps that are so flexible you can change out the ingredients any way you like and make them to your own liking. That is the fun that you can have with your food. You know the saying, “don’t play with your food?” Well my mom always told me TO play with my food. I have 4 other siblings and I think we all enjoy cooking and or helping out in some way in the kitchen because of my mom’s encouragement in that way. 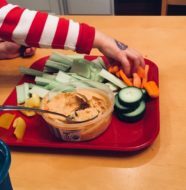 Like a typical mom, as I know anyway, my mom is always trying to get her kids to eat more vegetables. I have to admit, I’m 12 and I don’t like too many vegetables. I know I should eat them and that they are good for me, I just can’t get past the taste of some of them (cauliflower being the WORST! Sorry mom I don’t like your roasted cauliflower 🙁 ) So, when my mom started putting spinach into different foods, I was rolling my eyes like the typical pre-teen. Yet when I tasted it…I actually liked it! Spinach is now one of my favorite vegetables and that is what inspired my Thai Chicken & Spinach Wraps making it a fun “Thaifusion” of flavor! Combine all ingredients, EXCEPT, the peanut butter and mix well. Using a whisk add in peanut butter and mix well. 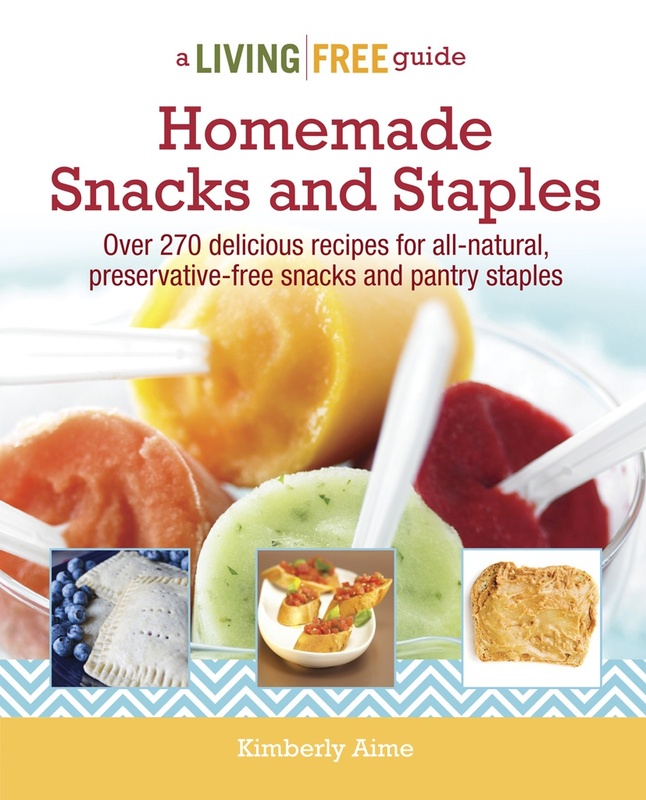 Refrigerate until the wraps are finished. 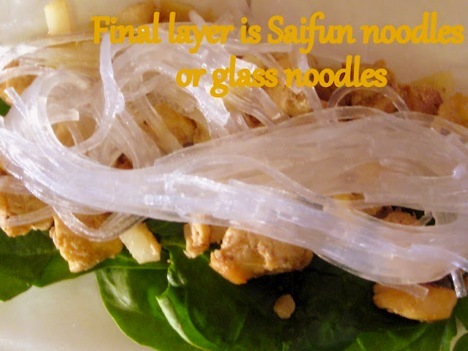 Take Saifun noodles and place in heat resistant bowl. Heat up 2 cups boiling water. 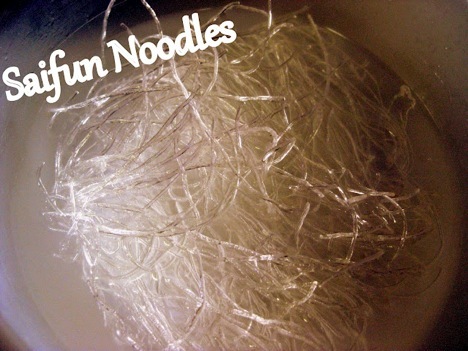 Pour boiling water over noodles and cover, set aside. Preheat skillet with 2 tablespoons coconut oil. Add garlic and ginger cooking only a few minutes so as not to burn garlic. Add chicken and salt/pepper. Cook a few minutes until pink is almost gone, then add soy sauce, carrot, bamboo shoots and water chestnuts. 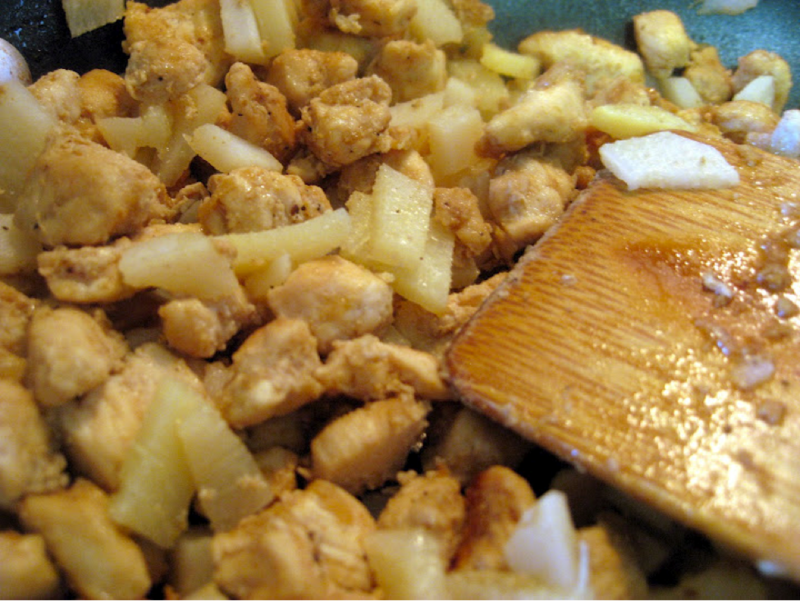 Cook until chicken is cooked thoroughly. Remove from heat and set aside. Set out a bowl or pie dish (I used pie dish) large enough to fit 1 rice wrapper in it without bending. Fill with warm water. The noodles don’t need to be drained at all; I just grabbed them directly out of the water as I made my wraps. 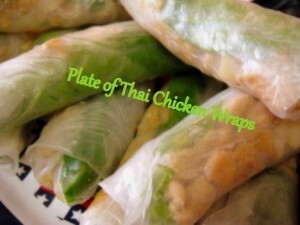 Roll the wraps as you would an eggroll and set aside on a plate. 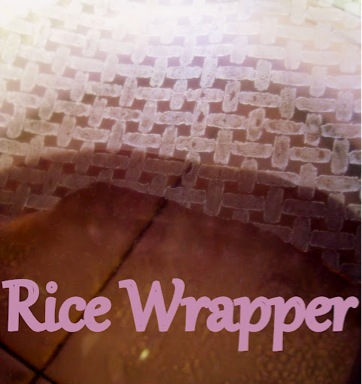 The rice wrappers get softer and stickier as they sit. After you dip it in the water quickly it will not be soft, do not dip again in water and be sure to roll quickly to avoid a sticky mess! Continue with the remaining rice wrappers or until all filling mixture is used. Serve over coconut rice and a garnish with cilantro and the peanut dipping sauce. Wow! I don’t know about you but I can’t wait to try these. 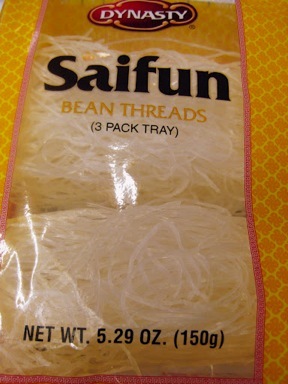 I love how simple they are and at the same time, seem a little fancy with those rice wrappers. So folks, were you cooking like Jasmine when you were growing up? What was your favorite thing to make? 217 Comments on "Healthy Blogger Thursday: Sweet Heat Chefs"
What a lovely recipe, Jasmine. One day we’ll see you performing and preparing recipes on TV! Wow – this is a seriously amazing recipe! When I was 12 I think all I could make my toast – I’m beyond impressed! And inspired. I need to make these thai rolls – stat! I just want to tell you that I am new to blogs and honestly liked your blog. Almost certainly I’m planning to bookmark your blog . You surely have great stories. Regards for sharing with us your webpage. Hello to every one, it’s really a pleasant for me to visit this website, it contains important Information. I wish to show my love for your kindness giving support to folks who must have guidance on this particular concept. Your real commitment to passing the message along appeared to be astonishingly powerful and has usually empowered others much like me to realize their ambitions. Your entire warm and helpful tutorial denotes so much to me and further more to my office workers. Best wishes; from all of us. Yahoo will send emails to the extgra affected accounts. naturally like your web site however you need to take a look at the spelling on quite a few of your posts. Several of them are rife with spelling issues and I to find it very troublesome to tell the truth then again I¡¦ll surely come back again. Just want to say your article is as astonishing. The clearness in your post is simply spectacular and i could assume you are an expert on this subject. Fine with your permission allow me to grab your feed to keep updated with forthcoming post. Thanks a million and please continue the enjoyable work. I actually wanted to send a small note so as to appreciate you for all the great ways you are writing on this site. My incredibly long internet look up has at the end been paid with good facts and strategies to go over with my friends. I ‘d admit that we visitors actually are very blessed to be in a fabulous place with many outstanding individuals with great secrets. I feel extremely blessed to have encountered your website page and look forward to really more fun times reading here. Thank you again for everything. ixnjxddugu,If you are going for best contents like I do, just go to see this web page daily because it offers quality contents, thanks! hmsueon Yeezy 2019,Very informative useful, infect very precise and to the point. I’m a student a Business Education and surfing things on Google and found your website and found it very informative. You really make it appear so easy with your presentation however I in finding this matter to be actually something which I think I’d by no means understand. It kind of feels too complex and very extensive for me. I’m having a look ahead to your subsequent publish, I will try to get the hold of it! lwrdbey,Thanks a lot for providing us with this recipe of Cranberry Brisket. I’ve been wanting to make this for a long time but I couldn’t find the right recipe. Thanks to your help here, I can now make this dish easily. I¡¦ve been exploring for a bit for any high-quality articles or weblog posts in this sort of house . Exploring in Yahoo I ultimately stumbled upon this website. Studying this info So i¡¦m satisfied to exhibit that I have an incredibly just right uncanny feeling I found out just what I needed. I so much undoubtedly will make certain to don¡¦t forget this web site and provides it a glance on a relentless basis. Hi there everyone, it’s my first pay a visit at this website, and post is really fruitful designed for me, keep up posting these types of posts. tkazly,Definitely believe that which you said. Your favourite justification appeared to be on the net the simplest thing to remember of. htwoapg New Yeezy,Quality blog, keep up the good work. You may check our website also! Sweet Heat Chefs <Loved it! mpwfjbpzomh,If you have any struggle to download KineMaster for PC just visit this site. You could certainly see your skills in the work you write. The world hopes for even more passionate writers like you who aren’t afraid to mention how they believe. Always go after your heart. Nice post. I was checking continuously this blog and I am impressed! Very helpful information particularly the last part 🙂 I care for such information a lot. I was looking for this certain information for a very long time. Thank you and best of luck. Hi, after reading this amazing article i am as well happy to share my know-how here with friends. Pretty section of content. I simply stumbled upon your weblog and in accession capital to claim that I acquire in fact loved account your weblog posts. a4wS6V There is visibly a bundle to identify about this. I think you made some nice points in features also. I pay a visit daily some websites and sites to read content, however this webpage offers feature based content. Thanks a bunch for sharing this with all people you actually recognize what you’re speaking approximately! Bookmarked. Kindly additionally discuss with my website =). We could have a hyperlink trade agreement among us! Hello colleagues, its fantastic piece of writing concerning educationand completely explained, keep it up all the time. site, how can i subscribe for a blog web site? The account helped me a appropriate deal. HFqinY This is one awesome post.Much thanks again. Fantastic. It’s remarkable to visit this site and reading the views of all friends concerning this paragraph, while I am also eager of getting familiarity. the blog loads very fast for me on Internet explorer. Excellent Blog!